It is so safe to say that a swimming pool can be such an exhilarating spot to enjoy with all of your friends and family. It surely makes your home become way more enjoyable. 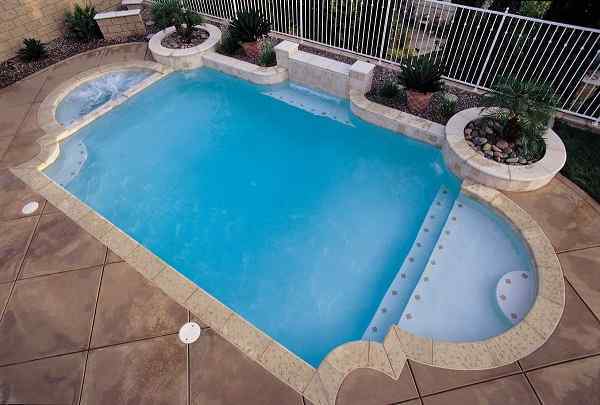 Of course, the cost to build a ‘real swimming pool’ is so expensive which may or may not suit your budget. 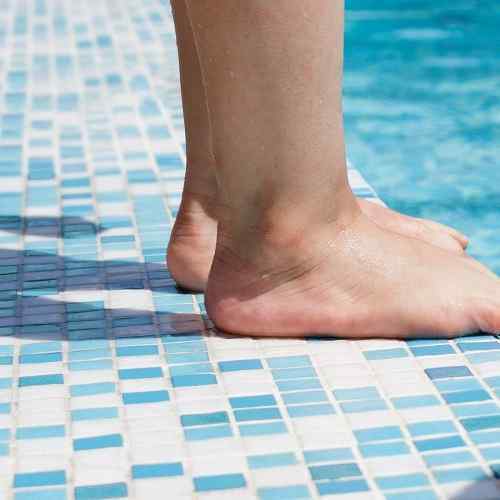 Therefore, lots of homeowners try to find a more affordable solution to build a joyful pool by using the cheap materials. If we take a look at the last year trend, the galvanized stock tank pool becomes so popular. 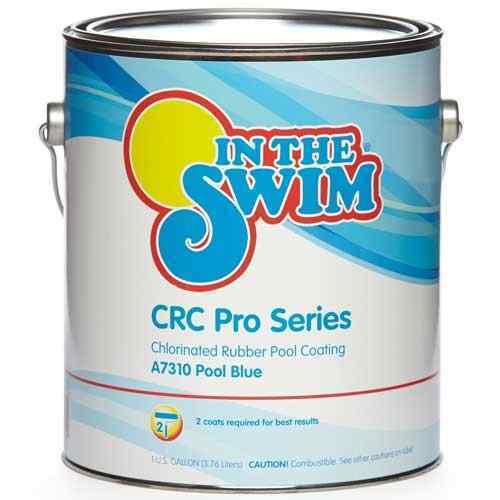 It’s one of the best cheap materials that many homeowners use to make a cozy pool. But this year, the pallet pool seems to take over the popularity of the stock tank pool. 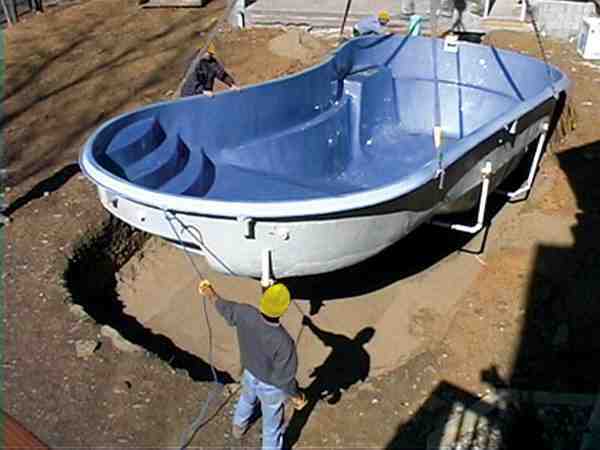 It’s actually a superbly cheap material which can be used to build a fun swimming pool in your very own backyard. Yeap, everybody knows that pallet is a DIYers’ best friend since can be so friendly to cope with lots of projects. 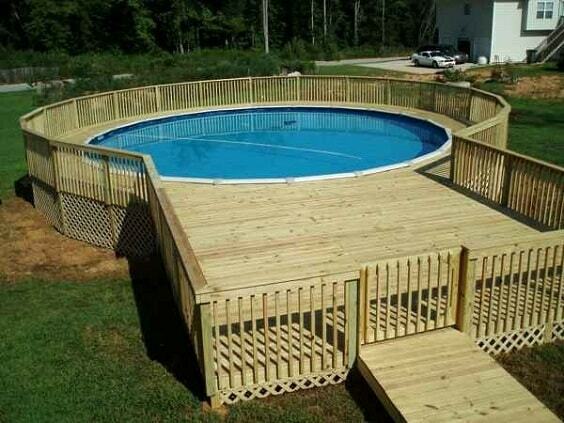 To build a pallet swimming pool, you will basically need some tarpaulins (traps), wooden pallets, and water pumps. So, for you who are willing enough to build a pallet swimming pool as the addition to your outdoor living space, we have prepared something for you. 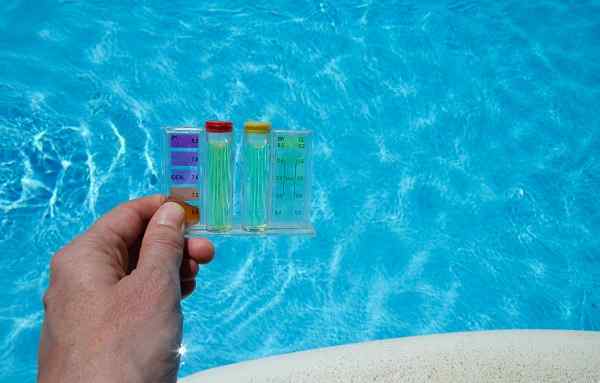 Here, we have picked the best pallet swimming pool ideas which you can use as your ultimate inspiration. 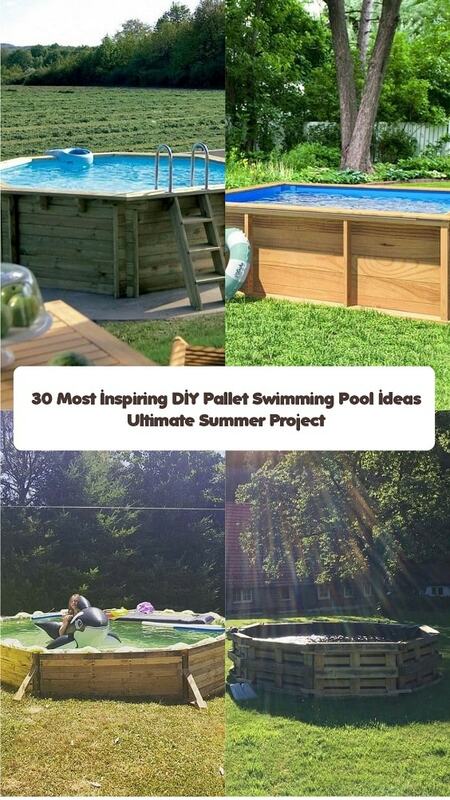 Well, let’s just keep scrolling to check out our best picks of pallet swimming pool ideas! The beautiful pallet swimming pool in hexagonal shape which is covered by dry coconut trees. It gorgeously blends with the natural surrounding and makes the outdoor space look way more attractive. 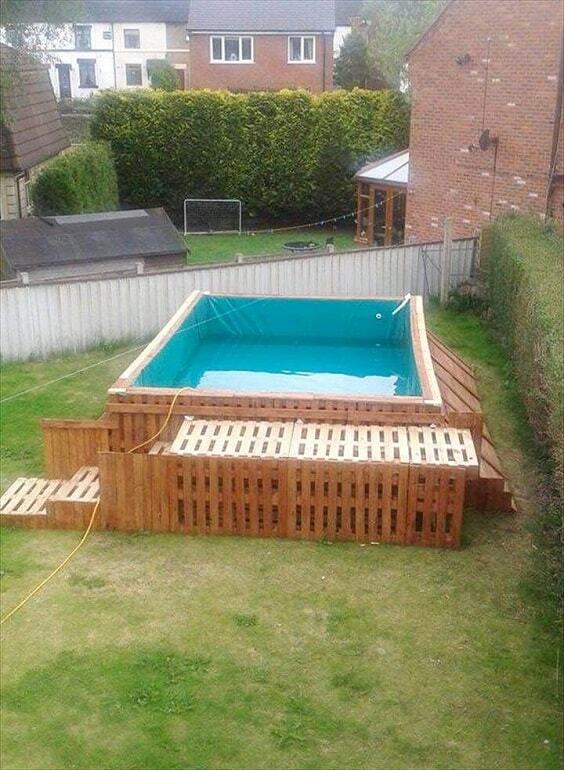 Building a pallet swimming with its deck surely sounds like a better idea since you can enjoy it more comfortably. It’s such a good spot to chill off after the joyful swimming especially with some loungers and a coffee table around. 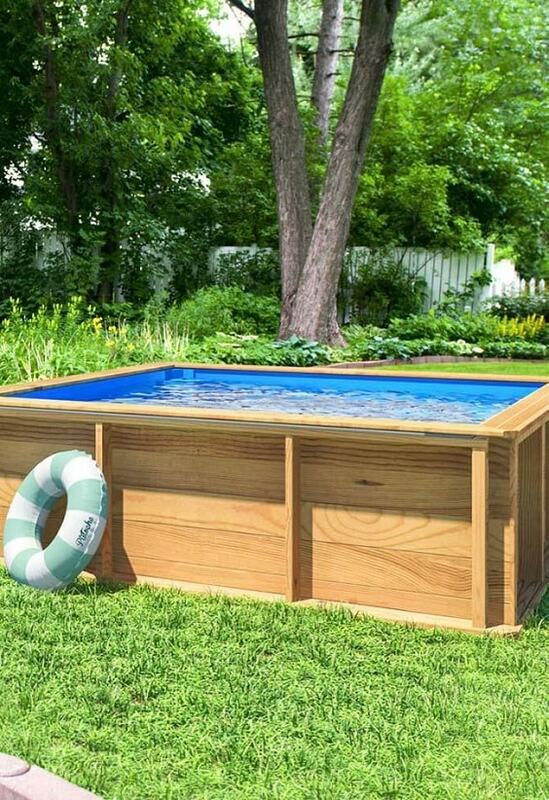 This one is a simple rectangular pallet swimming pool with a quite deep design. 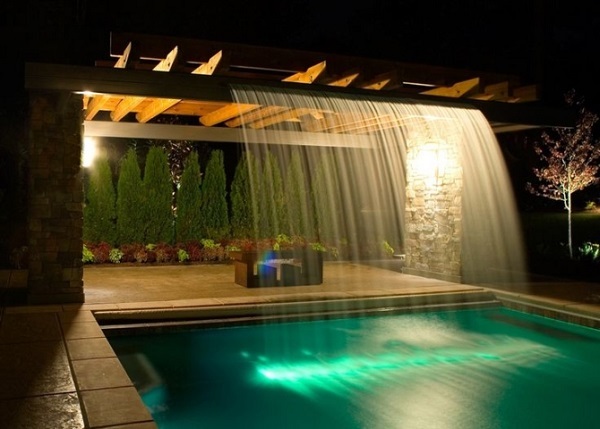 Then, a step is built close to the pool for a more convenient use. 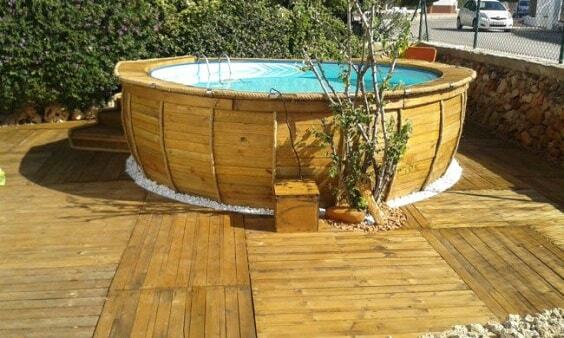 An inspiring pallet swimming pool which can be a good option for you who have a quite wide outdoor living space. It’s designed deeply with a high deck which makes it really fun to enjoy. The stunning pallet swimming pool in round shape which is enough to provide an exhilarating waterplay for everyone. Its round step doesn’t only make it more comfortable to use but also look way more awesome. The easy pallet swimming pool which works best to provide the kids with some joyful spot to swim. It’s built with the deck complete with its step in an unfinished look. 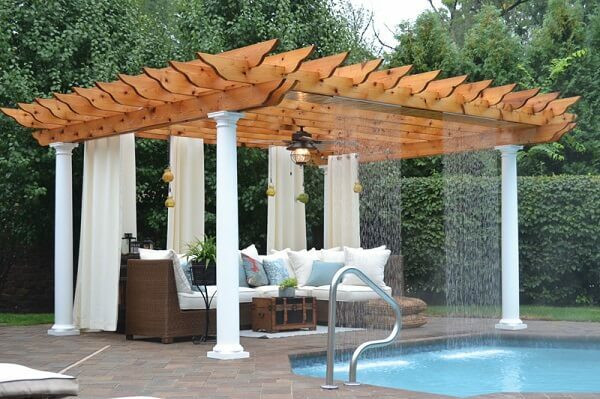 Installing the shade for your pallet pool is surely a great idea to make it way more comfortable to use. Here, a net mesh with steel frame is used so it can filter the sunlight properly. 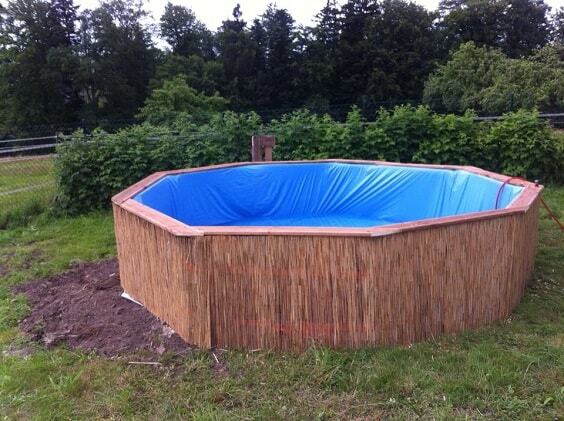 If you are looking for a unique pallet swimming pool, this one is a great inspiration that you can steal. 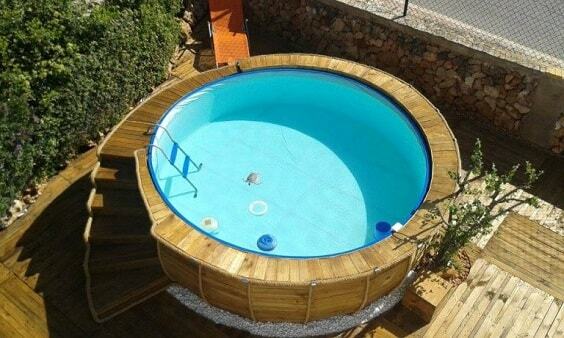 It’s basically an above ground round pool which is covered with the pallet which forms a bowl-like shape. The sleek rectangular pallet swimming pool which is designed in a modern style. It still looks blend well with the natural surrounding since it’s covered with the wood. The naturally catchy pallet swimming pool in bright cedar finish which will surely become a focal point of your outdoor space. It’s a quite spacious space in a hexagonal shape with the cozy depth that you can try to build. 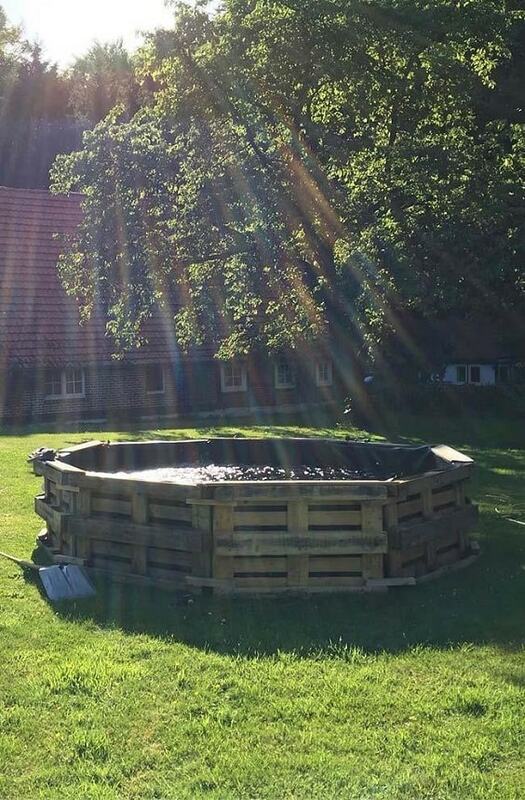 Another inspiring pallet swimming pool which covered by the dry plant or leaves to make it look more attractive. It’s made in a simple rectangular with a small space. 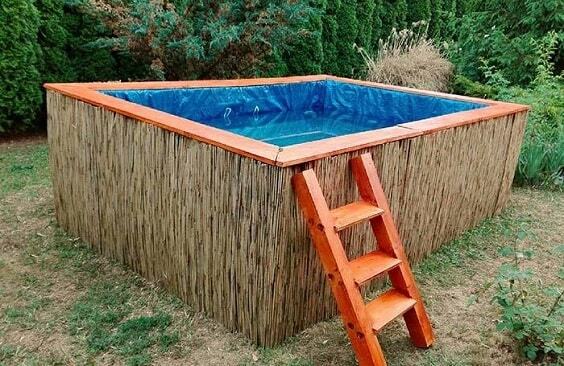 This one is for you who want to have a pallet swimming pool with a more masculine look. The superbly rustic pallet is used as the construction to secure the black tarp which gives such a distinctive touch to this backyard. If just soaking your body in a pallet swimming pool is fun enough for you, this idea is one of the best plans that you can try to build. 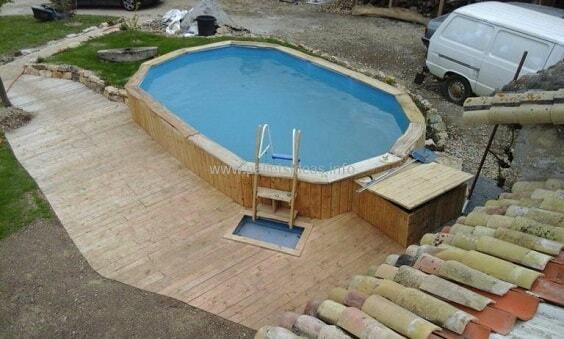 It’s a pool with the shallow construction in an unfinished wood look which is so easy to copy. 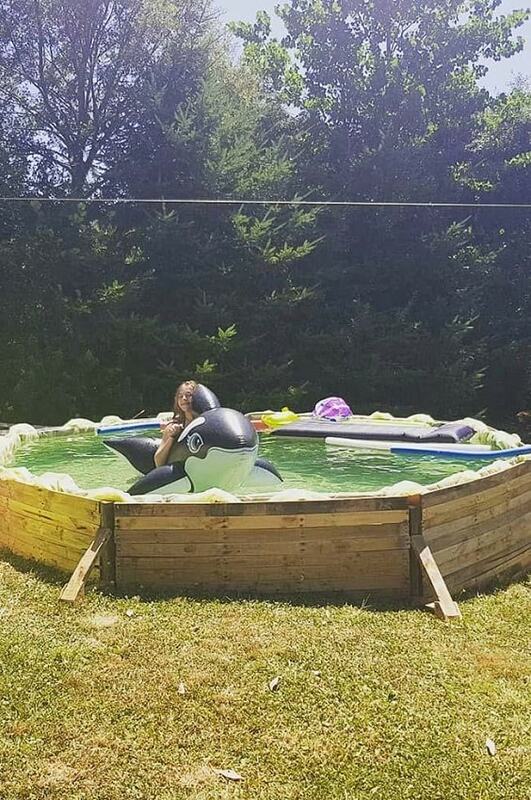 This is actually not a real pallet swimming pool, but it’s an inflatable pool which is placed on a pallet deck. It’s surely worth to add to your DIY summer project list. 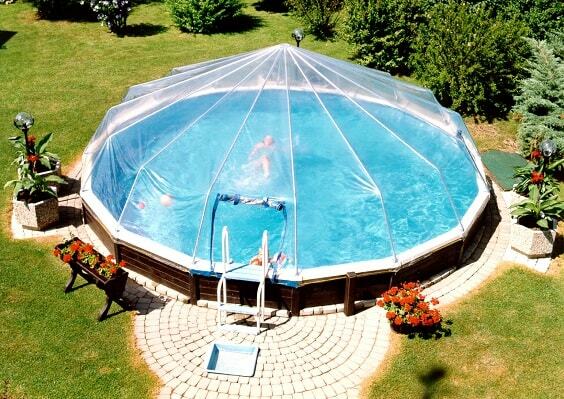 The big round pallet swimming pool which looks so awesome and feels so exhilarating to enjoy. The pool is built close to a leveled deck with cozy seating area. 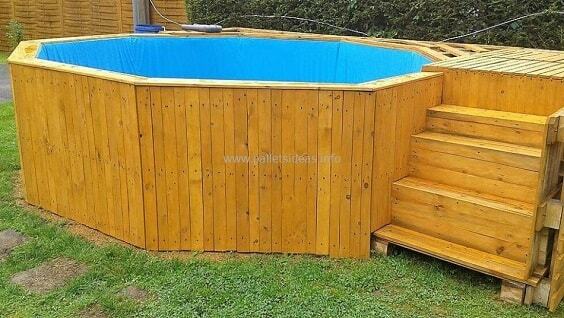 An easy pallet swimming pool idea with the built-in spacious sitting area which is so tempting to steal. The green rug is placed on the deck part to make it separated from the pool area. A piece-of-cake pallet swimming pool with the simple construction which is enough to be a fun addition to your outdoor living space. You can see how it natural finish with the wood grain look blends gorgeously with the grass base. 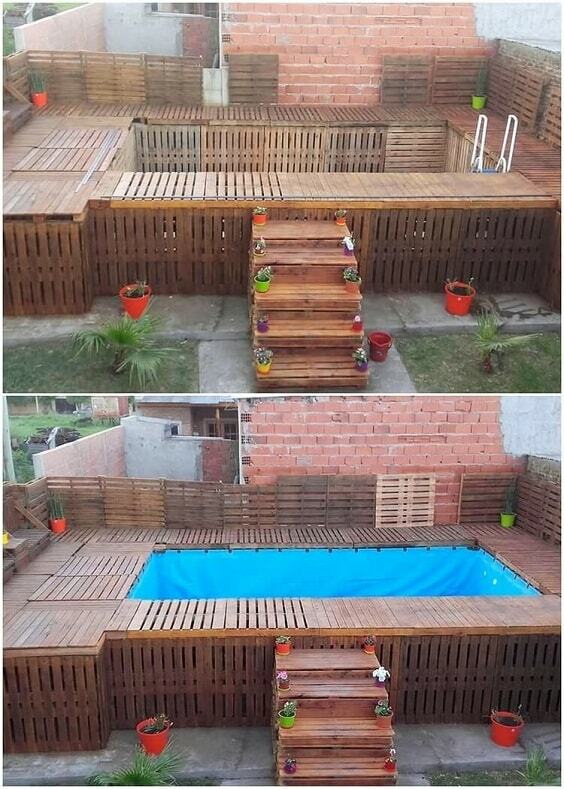 For you who have a spacious outdoor space and are willing enough to spend lots of elbow grease, this pallet swimming pool idea is the one that you can’t miss. It’s a big pool with the huge deck which will bring the function of your backyard to a whole new level. 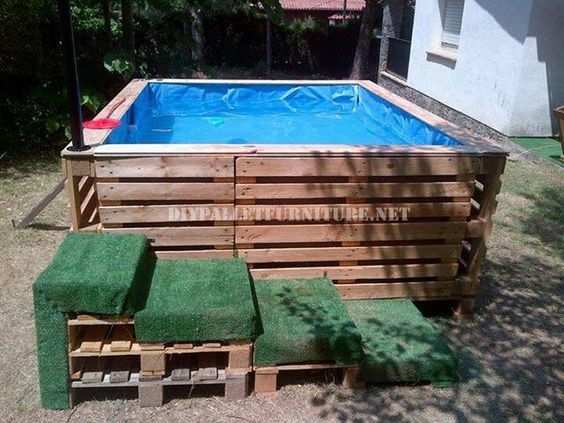 Another simple pallet swimming pool to add to your inspiration list, and this one is made in a square shape. The pallet is left unfinished to create a catchy rustic look. 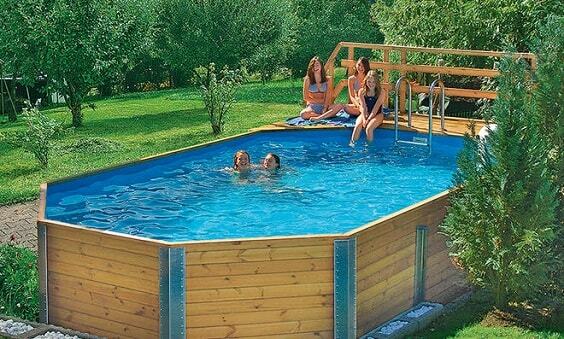 This pallet swimming pool idea shows a small portable pool which is installed in the center of a spacious pallet deck. It can be a good inspiration to provide a fun spot for the summer outdoor party. 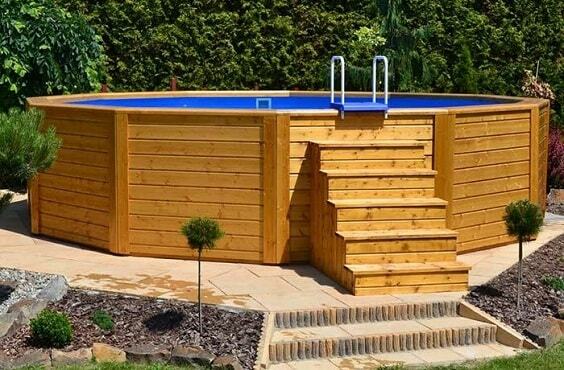 The stunning pallet swimming pool with the built-in shade which is made of wood. 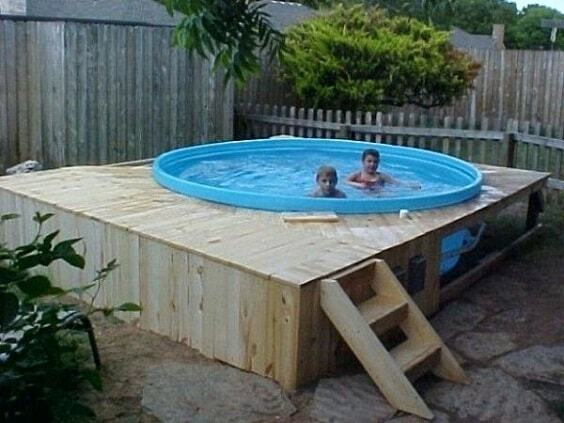 It’s surely a very comfortable pool that you can build easily and cheaply. 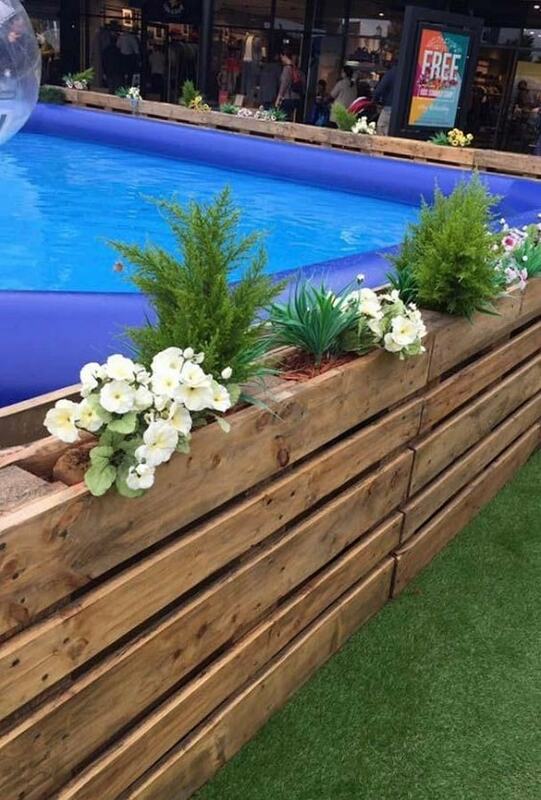 Here, the pallet works as the border for an inflatable pool which also used as the planter. It can be one of the easiest ways to decorate a pallet swimming pool that you can try in a very simple way. 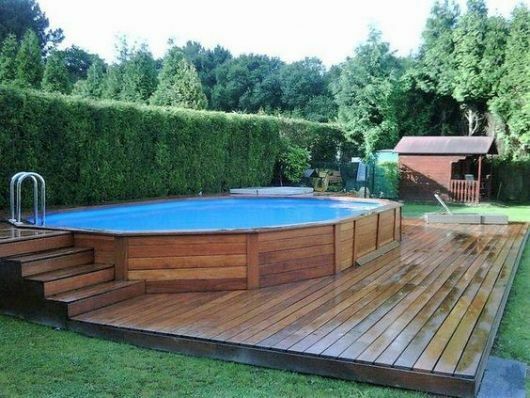 The simply admirable pallet swimming pool with an octagonal design which is completed with the side step and small deck. It’s finished in a bright wood to match beautifully with the outdoor environment. 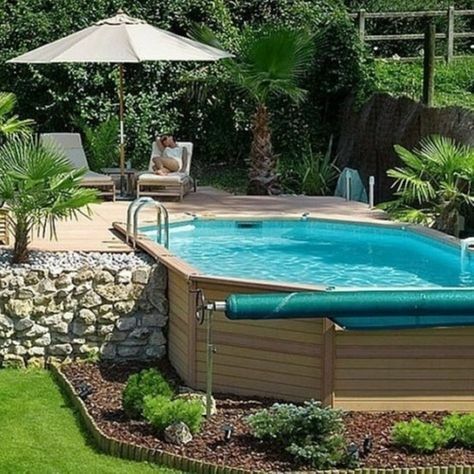 This is a pallet mesmerizing pallet swimming pool with the beautiful landscape to make your outdoor space look wonderful. Furthermore, the pool is built next to a patio with a very joyful sitting area. 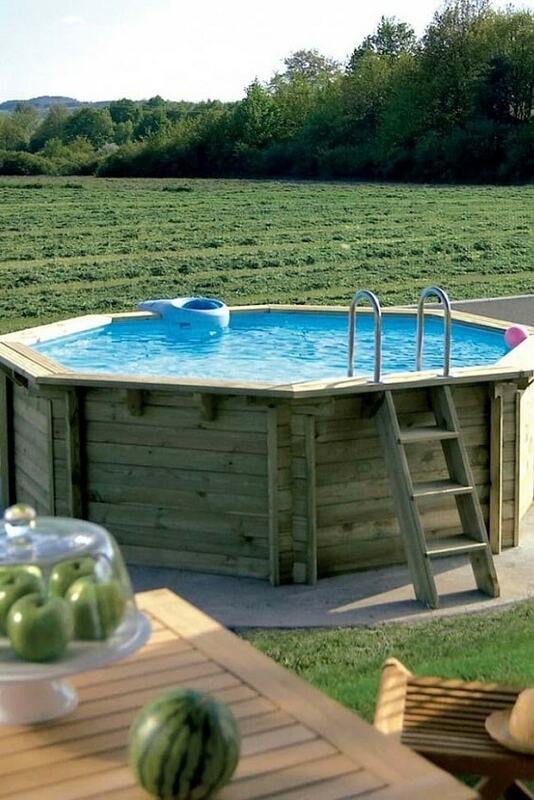 Another great pallet swimming pool inspiration which fits a spacious outdoor space very well. 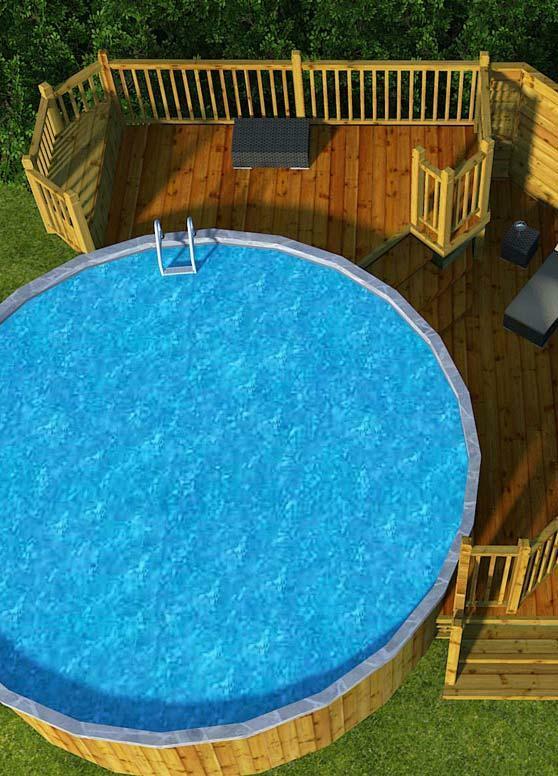 It’s a big round pool which is built inside a big deck with the wood fence in the beautiful earthy finish. Choosing a pallet swimming pool with a rustic look is never a bad idea since it’s timelessly admirable. 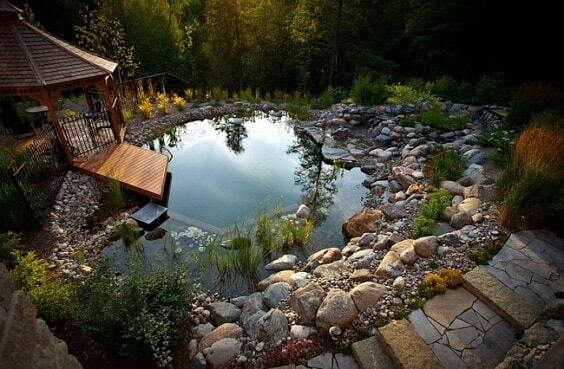 Here, an octagonal pallet pool looks modern and rustic at the same time with its accessories. 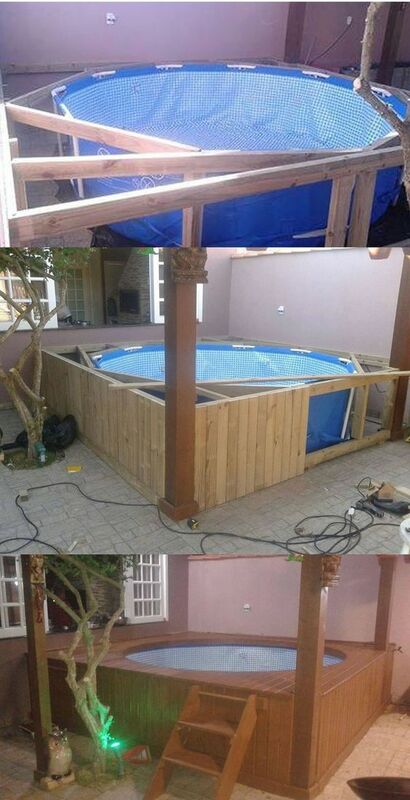 The unique pallet swimming pool inspiration with the wood base which looks harmoniously beautiful. To make it even more attractive, the green grass landscape is built next to the pool. 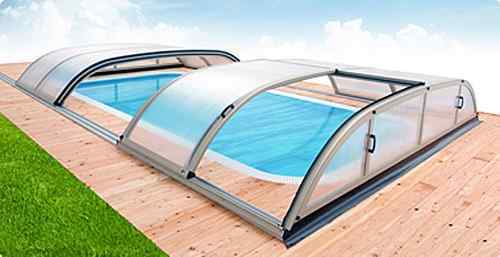 The deep spacious pallet swimming pool which is secured by the steel sheet to make it more durable to use. It also makes the pool look more distinctively catchy. 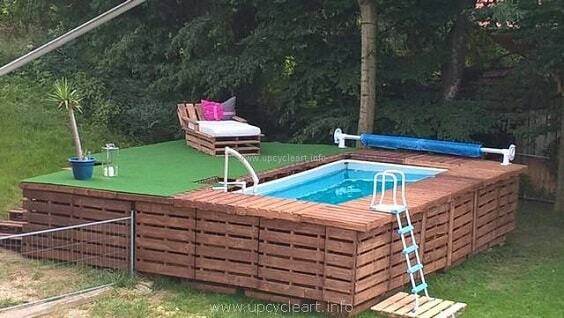 So, those are some inspiring pallet swimming pool which you can include in your summer plan list. They are so easy, simple, and cheap to make but totally enough to make your backyard feels way more exhilarating to enjoy. 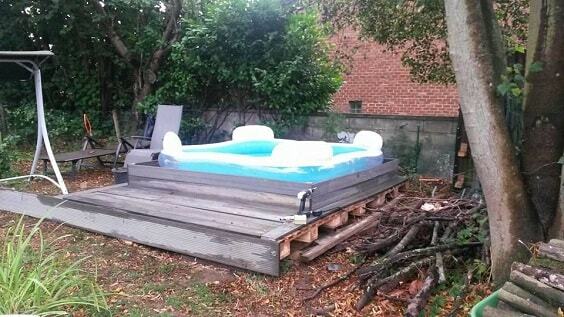 Well now, happy building your very own pallet swimming pool!